I am very happy to say that I am coming to you all from my local Starbucks. It is 5:45AM right now and I am now on the other side of an insomnia filled night. I was able to get about 5.5 or so hours of sleep between the hours of 9 and 5. Once I awoke at 3AM I knew I was going to have a tough time getting back to sleep and thus I lay awake for the next 2 hours. So here I am at a wonderful Starbucks with my big coffee, some almonds and half a banana I had leftover from last nights little snack before bedtime. I can’t complain to much since today is a bonus day, February 29th, a day that only comes around once every four years. All triathletes should welcome this day with great joy as it adds an additional day to train for the upcoming races this season. I will leave you with this fun video I found from pre-Kona 2010 which includes a bunch of the top male professionals having some fun on the big island. It just seems like they are truly having about as much fun as you can. And as a side note I will say that Terenzo is now a sponsored by Athletes Lounge and is planning on being in Portland for a few weeks this summer to train and race the Rev 3 half. It should be fun to see him around the area and hopefully in the shop. I must apologize for my scattered postings as they have been less frequent of late than ever before. I do not like to make excuses so I am not going to make any. I have simply been lazy. I have been more busy in the past and still posted so I don’t really know why I have lost the motivation. Possibly because I have begun to drink more coffee at home in the morning from the coffee maker instead of coming to Starbucks. There is just something about being at a busy Starbucks and being an anonymous blogger with a big cup of coffee that really gets my creative juices going. Now that I am relatively motivated I will update you all on what has been going on out here in Portlandia. Today is a bit of a recovery day placed in the middle of a biggish training week. 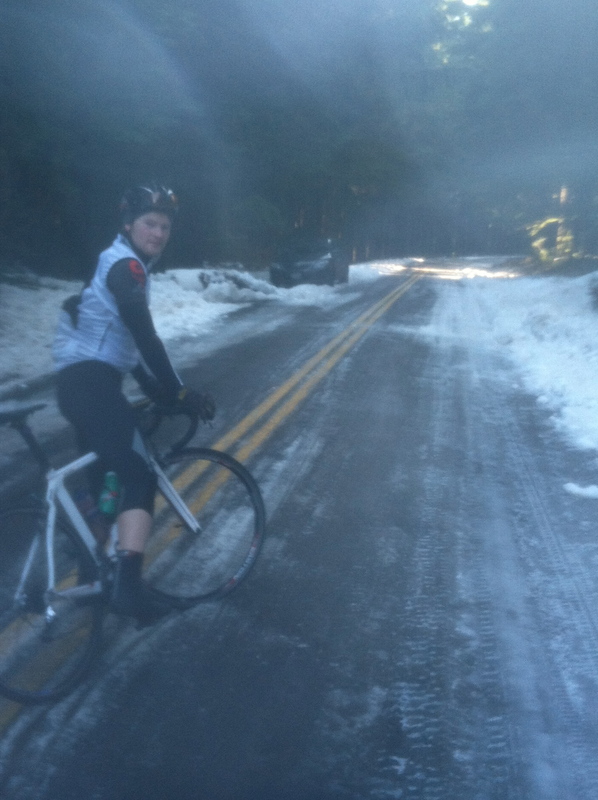 I had my long ride yesterday, which can be viewed via Strava. The first two hours went swimmingly, however after that the weather really started to take a turn for the worst. I can’t be mad since the weather here in PDX has been absolutely unreal this winter. I was more bummed that my luck had run out since over the last 5 weeks each long ride has been wonderfully placed on a day where the weather was very comfortable. I never changed a ride based on the weather, it was pure good luck that each ride fell on such great days. I was due for a hard man ride and I did not stray away. The winds which were very similar (a little stronger) to the previous week blew me from 23-27mph one way to 15-16mph the other way with more effort being put forth to push me 15mph. The work is getting done either way and in my mind every time I face a stiff wind on the bike I think how it will only enhance my training for Kona in October. After the ride I snuck in a short transition run and followed that with a nice warm shower back at the shop. One of the absolute BEST things about working at a tri shop is the ability to recover in style. 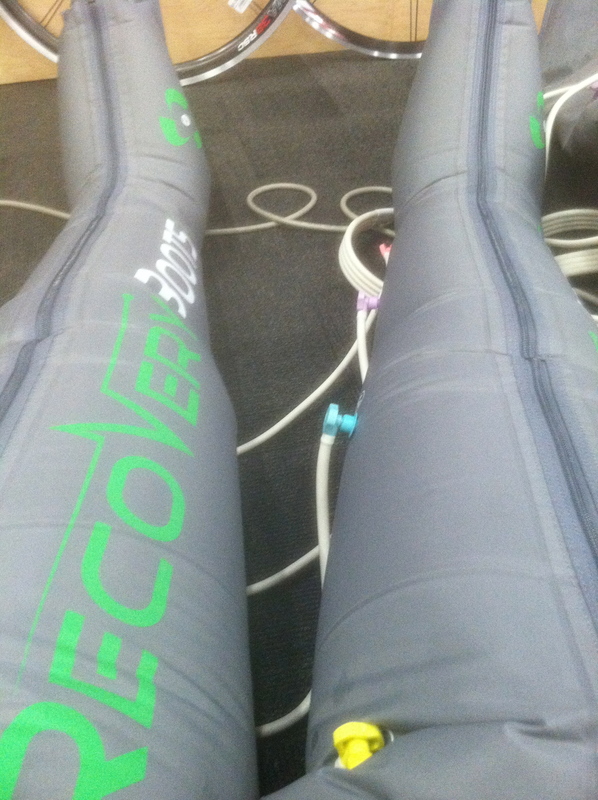 After a warm shower I got my bottle of endurox mixed up and settled into the Recovery Boots for a good 30 minute session while catching up on what happened during the day while I was out training. It doesn’t get much better than that. 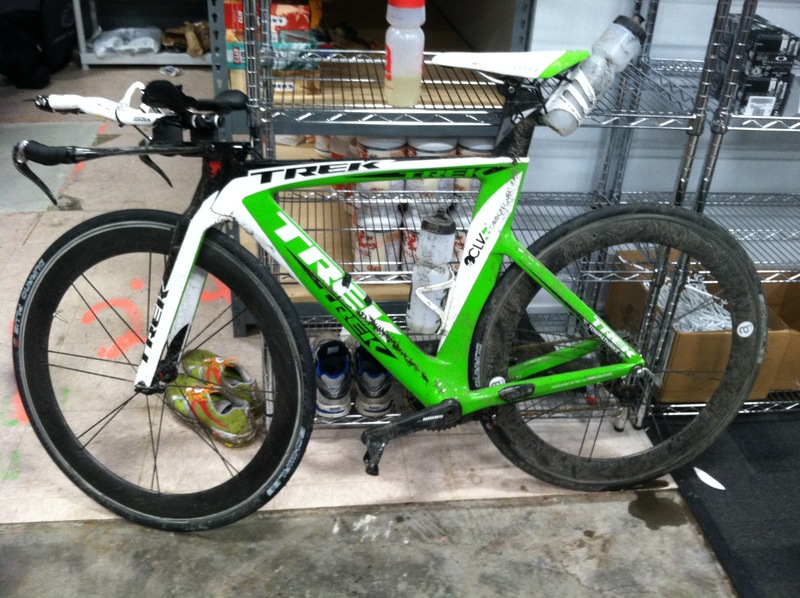 -The Texas 70.3 is just 30 days away….and Lance will be racing. -Abu Dubai is this weekend! Go Chris Lieto!!! Eric & I on our "Snow Ride"
I will leave you all with a cool video I found from Pre-Kona 2010 that includes a bunch of the top male pro’s having about as much fun as you can on a training run. They just look like they are truly having an absolute blast! Enjoy!